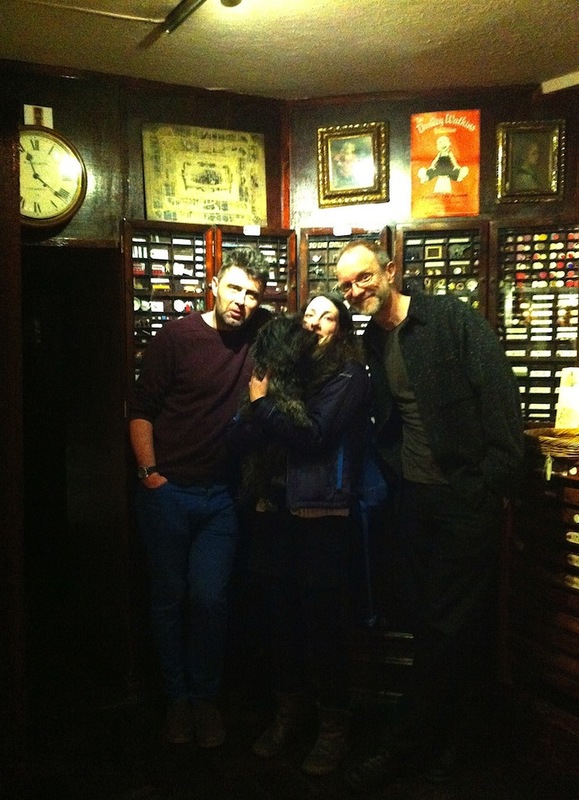 When we were in London at the beginning of April we met up with my cousin Sarah, her boyfriend Eddie and his trusty hound, Haggis. As the pubs in the city close alarmingly early of a Saturday night, at least the dog-friendly ones do, we ended up going back to Eddie’s for a last nightcap. 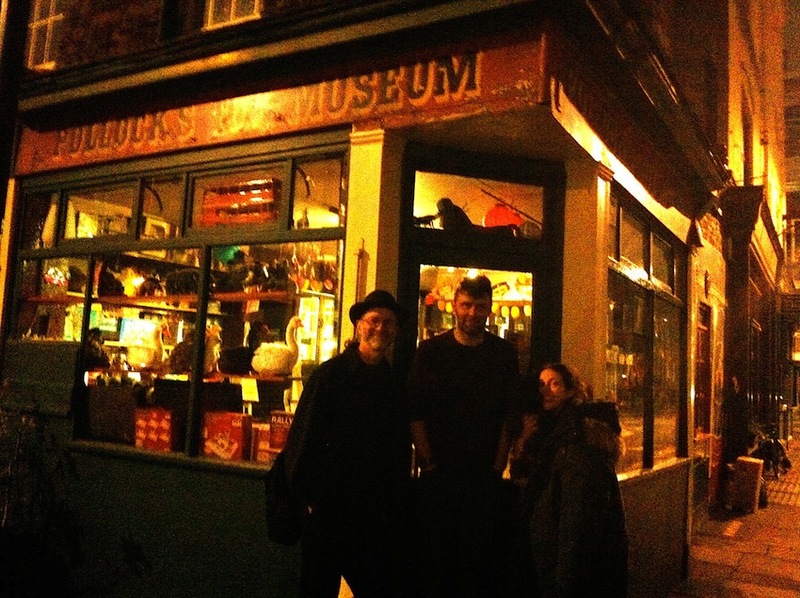 A rather special place to end the evening as it happens, because Eddie runs the Pollock Toy Museum on Scala Street, off Tottenham Court Road. The Pollock Museum has been in Eddie’s family for three generations and is famous for its toy theatres. I didn’t know about the museum but did remember visiting the Pollock Shop in Covent Garden back in the eighties – when I told Eddie that, he reckoned I’d probably met his dad! It’s pretty eerie standing inside a shop full of old fashioned toys in the middle of the night. We even got to peek inside the museum itself – a wee peek, as Eddie said the lights were on timers and couldn’t be switched on. Can’t help suspecting that he actually didn’t want us disturbing the toys as the clock struck midnight. This entry was posted in Marie-Louise Fitzpatrick, Michael Emberley and tagged The Pollock Toy Museum by The Belugas are Watching. Bookmark the permalink.